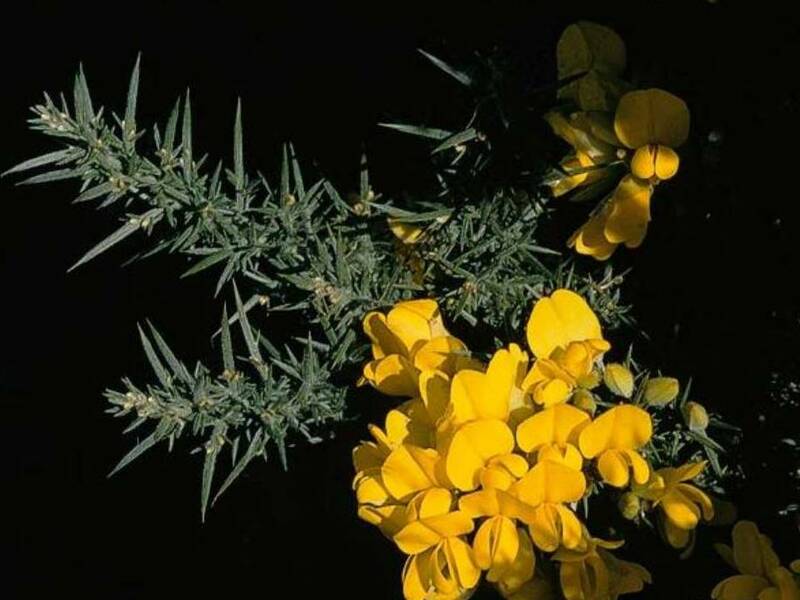 Ulex europaeus (gorse) is a woody leguminous shrub (family Fabaceae). In California Ulex europaeus can be found in coastal counties and the northern Sierra Nevada foothills. It invades infertile or disturbed sites, sand dunes, gravel bars, fence rows, overgrazed pastures, logged areas, and burned-over areas. Besides becoming a significant fire hazard, it can successfully out compete native plants in part because of its association with nitrogen-fixing bacteria, which facilitate its colonization of nitrogen-poor soils.